Hi Carlo, thanks for your interest in Mellow Walk. Please let me know what city you are writing from and I would be happy to help you find a pair of Quentin 550049. Thanks. Have you tried the Work Authority store. Work Authority 5501-204th Street #113 Langley, BC V3A 5N8 604-533-5470. http://www.workauthority.ca. We can also ship you a pair from the factory if you still have trouble locating. The Quentin 550049 model is available from Mister Safety Shoes. Thanks for writing. Last year I have Partrick model and this year I take this model as back up. I find both are really comfort best. Thanks Raymond. Both the Patrick slip-on and Quentin slip-on are really great comfort safety shoes. I need one safety shoes.i work in QA in food industry.but I have pain in heel when i am walking.so i need some light weight ,antisleppery safety shoe.Which is the proper for me?My shoeno is 7.5-8. For a light weight safety shoe with good heal support I would recommend Quentin 570049 or Jack 554139. I believe you will be happy with either of these models. Great question. I would steer you towards our Quentin models either 550049 or the lace up 5700409. 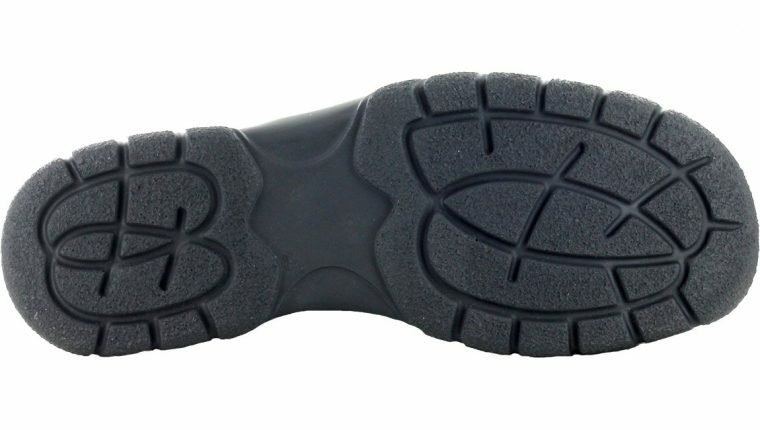 Both fit wide and the toecap is designed to accommodate a great flex point (that is bending at the toes). Hope this helps. Thanks for writing. Hello without knowing what kind of work you perform I would comment that the metal-free Quentin that you purchased is a very popular safety shoe. I hope you will enjoy wearing it. 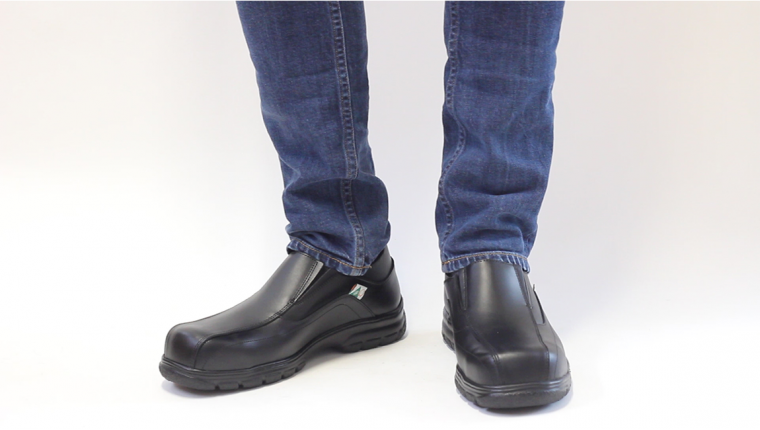 I work in QA in Kerrs brothers(confectionery).and thank you very much for your support.I will recommend other people to buy this safety shoes. I want to purchase a pair for my son.I am wondering about the Quentin 550049. He has heel pain, he needs a steel toe that is, CSA green patch approved, he definitely needs them wide, bendable, light weight, non slip and comfortable as he is on his feet 12 hours a day. They don’t have to be slip on. If not the Quentin, what would you recommend? Thank you for your help. I believe either of our Quentin models 570049 or 550049 would meet the needs of your son. The other model I think should be considered is Jack 554039. Jack fits wide and is really comfortable. I hope this helps. I will have our office email you with locations to purchase Mellow Walk near Barrie. Thanks. Can i purchase 550049 in a retail location in ottawa? I recommend that you visit Mister Safety Shoes: 1526 Merivale Rd. 613-225-2424. Thanks.